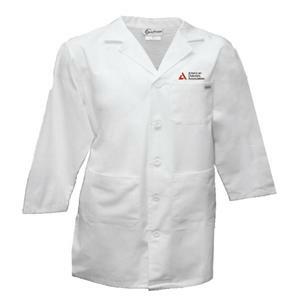 40" length American Diabetes Association logo lab coat with one left chest pocket, two lower pockets and side access vents. Two-button, swing back belt with button closures. 65/35 PC Poplin.